Filmmaker David Iverson, a radio broadcaster known to Bay Area audiences as the Friday former host of KQED’s Forum call-in show, was himself diagnosed with Parkinson’s in 2004 and will be in attendance for a post-screening Q&A. 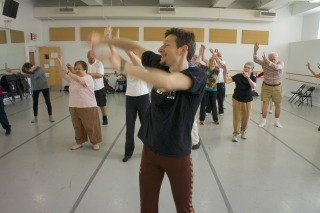 This event is presented by the San Francisco Dance Film Festival and SF DocFest. This award winning documentary is about an unlikely intersection between two very different worlds – one is occupied by a legendary dance company, people who move with beauty, the other by people who live with Parkinson’s disease and sometimes struggle to move at all. 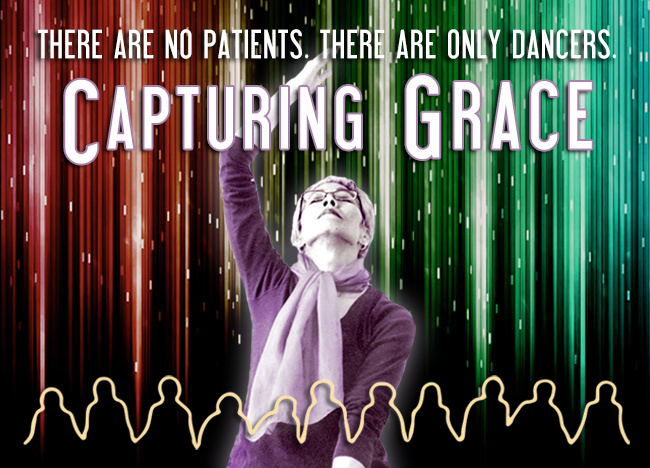 Capturing Grace tells the story of what happens when a world renowned dance group joins forces with people with Parkinson’s to stage a unique performance. Over the course of a year, the film captures the hopes, fears, frustrations and triumphs of this newly forged community. Challenging our expectations about illness and art, it’s a story filled with enduring characters who demonstrate the transformative power of art and the strength of the human spirit as a remarkable community of dancers–some professional, some not – come together to capture grace. Directed by David Iverson, 60min., 2014, U.S.A.